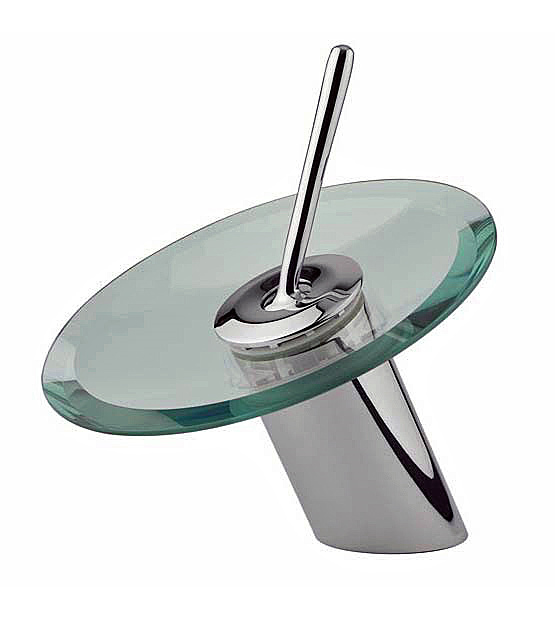 Chrome glass tray waterfall faucet for under mount vessel sink (FC33S), BathImports 70% off Vessels, Vanities, Shower Panels. For under mount vessel sink application. Iincluded: Two steel braided water lines, two nuts with bolts, brass fastener, and a rubber washer.